Your mission, should you choose to accept it, is to help Ed Green get on The Reel Deal by going to his YouTube audition video and adding a “like” and comment. That’s why I’m tracking the show, which just announced the Season 1 celebrity cast members who will serve as mentors to groups of aspiring actors, directors, composers and screenwriters. 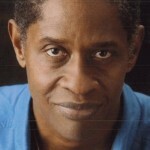 Best known by sf fans is Tim Russ, who played Lieutenant Commander Tuvok on Star Trek: Voyager. In the course of playing roles on several Trek franchises he has worked with four-and-a-half captains — William Shatner, Patrick Stewart, Avery Brooks, Kate Mulgrew, and Genevieve Bujold. Outside of Trek he is known for recurring roles as Frank, a snarky doorman on Christina Applegate’s comedy, Samantha Who?, and Principal Franklin on iCarly. Several other cast members have genre credits — Holly Fields (ALF), Eric Roberts (The Dark Knight, Doctor Who), host David Chokachi (Witchblade) and Don “The Dragon” Wilson (Batman Forever). Completing the list are Dustin Diamond (Saved by the Bell) and Judy Norton (The Waltons). This entry was posted in Like Show Business and tagged Ed Green, Star Trek by Mike Glyer. Bookmark the permalink.